Lifestyle modification is the foundation of the new hypertension guidelines—Pro-Change has the solution. Elevated Blood Pressure is a reading of 120-129 systolic AND less than 80 diastolic. For adults with elevated blood pressure, healthy lifestyle changes and re-assessment in 3-6 months are recommended. High Blood Pressure/Stage 1 is systolic pressure between 130-139 OR diastolic pressure between 80-89. Depending on an individual’s heart and stroke risk, lifestyle changes or lifestyle changes plus medication are recommended. High Blood Pressure/Stage 2 is systolic pressure of 140 or higher OR diastolic pressure of 90 or higher. Lifestyle changes and medication are recommended. Pro-Change’s newly revised Managing Blood Pressure program is the optimal population health solution for the estimated 46% of Americans who now meet the criteria for high blood pressure. For individuals with elevated blood pressure, the mobile-optimized behavior change program focuses on lifestyle changes including weight loss if needed, dietary changes based on the DASH Diet, regular exercise, moderate drinking, and smoking cessation. For individuals with High Blood Pressure Stage 1 or Stage 2 who have been prescribed medication, the program focuses on medication adherence as well as lifestyle changes. The Managing High Blood Pressure program fits seamlessly into existing health and well-being initiatives and can provide an essential adjunct to clinical care. The program, available in English and in Spanish, includes a computer tailored intervention with individually tailored questions and feedback; a personal activity center with dynamic games, quizzes, and guidance matched to the individual’s readiness to change each behavior; and tailored text messages. Learn More about how the Managing Blood Pressure Program provides tailored behavior change guidance to adults with elevated or high blood pressure. Pro-Change is proud to announce our membership in the True Health Initiative. With the support of members, such as the American College of Lifestyle Medicine and American College of Preventive Medicine, the True Health Initiative envisions a world with less chronic disease and supports individuals and communities in directing their resources toward that goal. Pro-Change and the True Health Initiative are part of a burgeoning group of national and international experts devoted to preventing and managing chronic disease with lifestyle medicine. Lifestyle medicine seeks to promote the six core principles of healthy living: healthy eating, physical activity, healthy sleep habits; being tobacco-free; managing stress; and social support. Membership in the True Health Initiative aligns with Pro-Change’s mission to create evidence-based behavior change solutions that optimize population health and well-being. In every aspect of our work, Pro-Change shares and wholeheartedly supports the core beliefs and principles of the True Health Initiative. As an organizational member of True Health, Pro-Change has the opportunity to help shape their agenda, as well as to be involved in True Health campaign activities, initiatives, and committees. We look forward to fulfilling our mission by doing the work we love with many of the experts who have inspired our efforts to date. Here’s to good health! Wayne Velicer, an early principle of Pro-Change and one of the principal developers of the Transtheoretical Model of Behavior Change, passed away on October 15. Wayne was Co-Director of the Cancer Prevention Research Center (CPRC), Professor of Psychology at the University of Rhode Island and a world-renowned expert in health psychology and behavioral statistics. We attribute much of the success of the Transtheoretical Model of Change (TTM) and TTM-based interventions to Wayne’s focus on high-quality measurement and research. Wayne was a formal and informal consultant for many Pro-Change grants and projects, but most importantly a friend to many of us at Pro-Change. Wayne was a daily part of our lives when Pro-Change was housed in the CPRC. All of Pro-Change’s Ph.Ds trained under Wayne. Not only did he teach us about statistics, study design, and measure development, he also taught us about wine, music, the pleasures of travel, and how to live a good life. We will miss Wayne and send our deepest sympathies to his wife Anna, sons Scott and Clayton, and the rest of his family, all of whom he cherished. Our treasured friend and colleague Julie Padula passed away unexpectedly in her sleep on August 23, 2017. 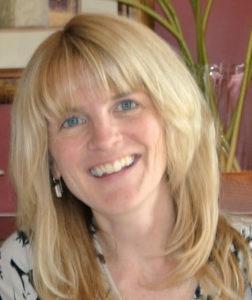 Julie was our Senior Manager of Operations and had been with Pro-Change since 1999. 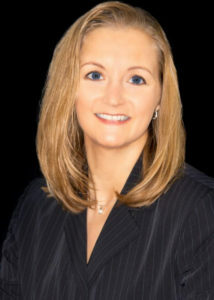 She took a brief hiatus to share her talents with University of Connecticut Office of Research Compliance as they developed conflict of interest and export control policies. While she enjoyed her time at UCONN, we were very fortunate to have her re-join our team in February of 2016. To say that she had unparalleled organizational skills, an unwavering commitment to excellence, and a true dedication to learning only begins to scratch the surface of Julie’s professional strengths. She was always the first person you thought of when a new initiative arose because of her willingness to accept daunting challenges to advance our organization. She was an exceptional team player who made us all more accountable. But what we will remember forever is her sparkling and exuberant personality. We loved Julie because she had a great sense of humor and mischief—and a giggle that no one will ever forget. She had a big heart that she gave freely to her friends and loved ones. Julie had a very large and tight knit family whom she adored and shared with us—through her stories about them, coopting them to participate in Pro-Change projects, and recruiting them for internships. Having grown up in Rhode Island, Julie maintained her life-long friendships with friends from high school, college, and her first job at the University of Rhode Island’s Cancer Prevention Research Center. These friendships were woven into the fabric of Pro-Change…we can easily play 3 degrees of separation from Julie Padula. In recent years, she shared her love for her fiancé Ken to all on Facebook and shared her wedding and honeymoon plans with us during lunch. We all shared her joy, reveling in the fact that she was the happiest she has ever been. For all of these reasons, and many more too numerous to mention, Julie’s memory will live on at Pro-Change. Our lives were enriched by having known and worked with her. We will honor her legacy by, as her father said at her memorial service, living with love, joy, and generosity. 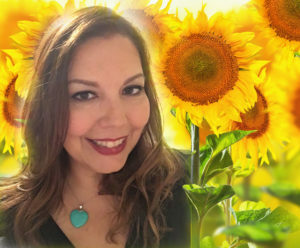 We invite you to join us in thinking fondly of Julie each time you see a sunflower. Pro-Change is pleased to announce Sara Johnson’s podcast interview with Redesigning Wellness founder Jennifer Arnold. Jennifer founded the company to help HR and wellness professionals implement effective worksite wellness programs, and to talk about what works and doesn’t work with traditional worksite wellness programming. Redesigning Wellness podcasts give listeners the opportunity to learn about wellness from the best in the industry. You can access the podcast @ https://redesigningwellness.com/category/podcast/. In the interview, Sara describes Pro-Change products and collaborations. She also talks about her new role as co-editor of The Art of Health Promotion section of the American Journal of Health Promotion, which is a great resource for health and wellness professionals that provides useful insights and practical guidance. Pro-Change Behavior Systems, Inc. is proud to announce that they are celebrating 20 years of dedication to the implementation of best practices in behavior change. Pro-Change Behavior Systems develops and disseminates award-winning, unique, and innovative behavior solutions that are tailored to the individual, scaled to populations, and driven by technology. With interfaces for end users, health coaches, and clinicians, our solutions are appropriate for entire populations, yet are uniquely tailored to each individual. We employ rigorous behavior change science, theory, and data analytics to individualize behavior change guidance that helps participants—ready to change or not—take steps to enhance their health, well-being, and productivity. Pro-Change is proud to partner with well-being solution providers, onsite clinic providers, integrated delivery systems, employers, health care centers, insurers, universities, continuing medical education providers, sport and fitness companies, publishers, and schools. Without the mutual trust and support of strong partners, Pro-Change would not be where it is today. The entire organization is continually energized by Pro-Change’s ever expanding circle of partners. Pro-Change was founded by Drs. Janice and James Prochaska and is now co-owned and led by Dr. Kerry E. Evers and Dr. Sara S. Johnson. Kerry and Sara lead with encouragement, respect, and trust to enable Pro-Change’s multidisciplinary team of 19 to do and be their best. Pro-Change is planning a series of special events to commemorate this anniversary year. Thank you for being by our side during this incredible journey and as we look forward to an exciting 20th year ahead! Pro-Change is pleased to announce an innovative new feature added to Health Risk Intervention (HRI). Since 2014, Pro-Change has had NCQA Certification for our HRI which includes typical health risk assessment questions. But unlike others, it also assesses readiness to change leading health risk behaviors and provides immediate evidence-based, stage-matched feedback about the single most important strategy individuals can take to make progress on each behavior. Each time the HRI is taken, feedback is updated to reflect change. New recommendations are provided to promote the use of the behavior change strategies most likely to improve health and well-being. Now users can opt to receive text messages that inspire and encourage them to make small changes throughout the year, between HRIs sessions. Text messages are based on the same rigorous behavior change science and statistically-derived decision rules embedded in the HRI. Informed by decades of research, the text messages are not merely one-size-fits-all nudges. Part of the secret to the success of the tailored text messages is the proactive, ongoing delivery. Historically, health assessments have been a once-yearly event. Text messaging enables brief, evidence-based messages to continue to engage participants in the behavior change process. The texts essentially provide ongoing doses of behavior change medicine, elevating the HRI to the next level. The text messages in similar Pro-Change programs have been met with rave reviews from end users. I liked that whoever created this seems to care about my well-being. Early on, the text messages were the only thing that made me think twice and not give up. With time, I was confident enough to manage this on my own! Click here to read more about our HRI. Pro-Change Behavior Systems, Inc announced today that Dr. Sara Johnson will present two sessions and participate in a lively debate at the 27th Annual Art & Science of Health Promotion Conference, March 27-31, 2017 in Colorado Springs, CO.
Johnson, Pro-Change’s co-President & CEO, will present “The Recipe for Finding the Optimal Blend of Awareness, Motivation, Skills, & Opportunities: Applying Lessons from Baking” on Wednesday, March 29 at 1:45 pm. The presentation will focus on creating a recipe for blending key ingredients of well-being initiatives (e.g., policy, leadership development, individualized well-being programs, and culture of health initiatives) to optimize individual and organizational well-being. Later that day, Dr. Johnson will participate in an Oxford style debate moderated by Paul Terry, President & CEO of HERO. The session, entitled “Awareness, Motivation, Skills and Opportunity… What is the Right Mix?” will involve Johnson and Stewart Sill of IBM/Watson facing-off against Margaret Moore of Wellcoaches and Dr. Matthew Clark of Mayo. Each team will argue for or against the proposition that there is evidence to support a “right mix” for health promotion. Johnson will also co-present with Laura Putnam, one of the industry’s leading experts on enhancing managers’ influence on workplace well-being. Putnam is the CEO of Motion Infusion and author of Workplace Wellness That Works. Johnson and Putnam are co-developers of the “Manager on the Move” initiative, which includes the first tool for measuring managerial impact on well-being at work. They will be joined by esteemed colleague Crockett Dale, CEO of Healthstat. Healthstat has been an innovator by being among the first organizations to systematically implement Manager on the Move with their managerial team. The presentation will take place on Friday, March 31 at 11:00 a.m.
Pro-Change will attend, and highly recommends, Laura Putnam’s two day-pre-conference Intensive Training Seminar (March 27 and 28, 9 am – 5 pm). This highly interactive session, entitled Workplace Wellness that Works: A Smarter Framework for Designing More Effective Workplace Wellness Programs, will provide a fresh perspective on how to promote employee well-being. Putnam’s work is based on cutting-edge research and backed by real-world examples and case studies. Changing to Thrive is a sequel to Changing for Good, a classic that has sold over 175,000 copies. Changing to Thrive represents the next generation in staging: a revolution in guiding people through the Transtheoretical Model of change for the most risky health habits–smoking, alcohol misuse, inadequate exercise, unhealthy diets, and mismanaged stress. The book, published by Hazelden, can be purchased on Amazon. Sara Johnson, Ph.D., and Jessica Grossmeier, Ph.D., MPH, have been named co-editors of The Art & Science of Health Promotion (TAHP). TAHP is a special section of the American Journal of Health Promotion (AJHP), a leading scientific periodical produced by SAGE for research that advances healthy behaviors and communities. Johnson, who is co-president and CEO of Pro-Change Behavior Systems, Inc.will share the role with Grossmeier, who is vice president of research of HERO (the Health Enhancement Research Organization), a non-profit organization dedicated to advancing best practices in health promotion and well-being in the workplace and communities. Johnson and Grossmeier will succeed Paul Terry, Ph.D., president and CEO of HERO, who recently assumed the role of editor in chief of AJHP. AJHP regularly covers health promotion research topics, including mental, social, spiritual, and physical health and well-being; and intervention strategies for building healthy workplaces and designing effective behavior change programs. “We’re excited to embrace the formidable challenge of continuing Paul’s more than five-year tradition of excellence in TAHP. He has set a wonderful example for Jessica and me in helping to inform the work of health promotion practitioners nationwide by identifying, curating, and providing brilliant and thought-provoking insight into cutting-edge concepts, authors, and health promotion initiatives,” said Johnson. The editorial goal of the AJHPis to provide a forum for exchange among the many disciplines involved in health promotion and to provide interface between researchers and practitioners. TAHP is a special section of AJHP that highlights innovative applications of the best practices described in the AJHP. It is specifically dedicated to helping practitioners improve the quality of their health promotion initiatives. 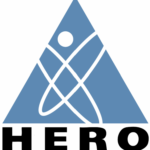 Based in Waconia, MN, HERO (the Health Enhancement Research Organization) is a not-for-profit, 501(c)3 corporation that was established in 1996. HERO is dedicated to identifying and sharing best practices that improve the health and well-being of employees, their families, and communities. To learn more, visit www.hero-health.org.Follow us on Twitter@heroehm or LinkedIn. About Pro-Change Behavior Systems, Inc.
Pro-Change Behavior Systems, Inc., a certified Women’s Business Enterprise, is a research and development company providing wellness partners with computer and coaching-based programs for changing health risk behaviors. 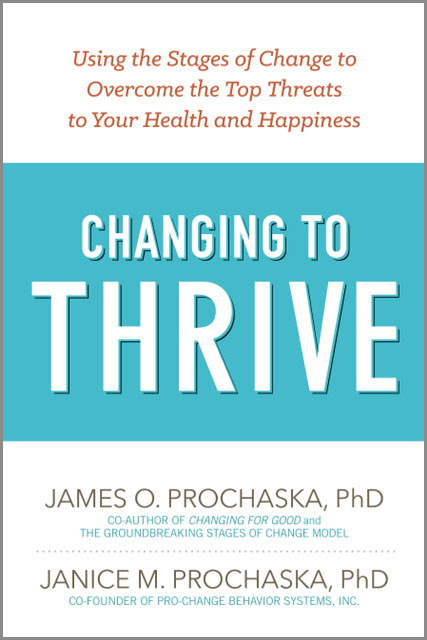 Based on the Transtheoretical Model of Behavior Change developed by founder Dr. James O. Prochaska, Pro-Change programs are for entire populations and are uniquely tailored to each individual. Pro-Change programs have produced unprecedented impacts on multiple behaviors to enhance health and reduce health care costs. In 2012, the LifeStyle programs were featured on AHRQ’s Innovation Exchange website. In 2014, Pro-Change was awarded Health Information Products (HIP) Certification for Health Appraisals by the National Committee for Quality Assurance (NCQA). For more information about Pro-Change, please visit www.prochange.com.